LAHORE: Following its preliminary statement issued on 25 July, the Human Rights Commission of Pakistan (HRCP) has expressed satisfaction that the 2018 General Elections were held on time and remained, by and large, peaceful. However, HRCP said that it regrets that many lives were lost in violence preceding the elections and condoles deeply with the families of the victims. In a statement, HRCP said that while “the conduct of the polls was, overall, orderly and peaceful, the Commission notes with concern the complaints made by several political parties as well as HRCP’s own observers regarding the management of post-poll formalities”. Numerous reports that vote counting was poorly handled – with polling agents prevented from observing the final count in many cases – and the unprecedented delay in results have cast a shadow over the electoral process. These questions must be diligently addressed to avoid any doubts concerning the credibility of the elections. HRCP’s field reports indicate that observers’ access to polling stations remained problematic, for instance in NA-164 Vehari, NA-125 Lahore, NA-13 Mansehra, NA-270 Panjgur, NA-260 Nasirabad and NA-25 Nowshera. Moreover, many observers were prevented from remaining at any polling station long enough to document and verify their observations satisfactorily. HRCP urged the Election Commission of Pakistan (ECP) to appreciate the fact that election observation is a time-consuming exercise on which the credibility of the election hinges. “HRCP is extremely concerned at continuing reports that polling agents, the media and observers were not allowed to remain present during the vote counting in many cases. Observers in numerous constituencies, including NA-100 Chiniot, NA-76 Sialkot, NA-13 Mansehra, NA-16 Abbottabad, NA-49 South Waziristan Agency, NA-129, NA-130 and NA-131 Lahore, were prevented from observing the vote count. HRCP’s observer team in Turbat reported that polling agents were locked into a separate room while the results were being counted. At one polling station in NA-125 Lahore, the presiding officer ordered an observer out of the polling station, reportedly without just cause, threatening to have him arrested unless he complied. HRCP hoped the ECP will investigate all such incidents and make its findings public. HRCP’s observers have confirmed similar reports in numerous constituencies, including Sialkot, Mansehra, Abbottabad, Charsadda, South Waziristan Agency, Kurram Agency, Chiniot, Lasbela, Gwadar, Mastung, Loralai, Panjgur and Quetta. “A political mandate is not an end in itself and political rhetoric alone will not suffice. 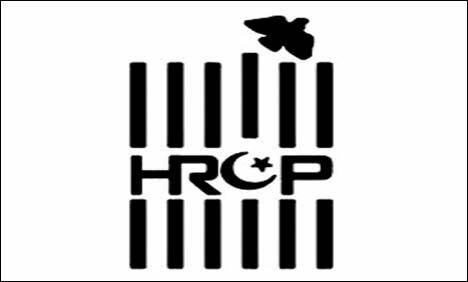 HRCP strongly urges the new government to take serious note of the challenges that continue to beleaguer Pakistan’s democratic development,” HRCP said.